If you have a child in school, you may have heard stories of long-dormant diseases suddenly reappearing--cases of measles, mumps, rubella, and whooping cough cropping up everywhere from elementary schools to Ivy League universities because a select group of parents refuse to vaccinate their children. 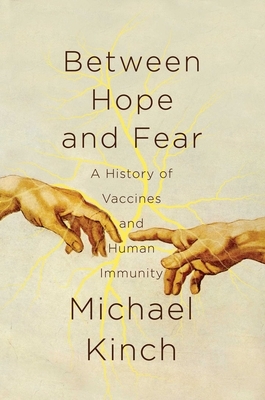 Between Hope and Fear tells the remarkable story of vaccine-preventable infectious diseases and their social and political implications. While detailing the history of vaccine invention, Kinch reveals the ominous reality that our victories against vaccine-preventable diseases are not permanent--and could easily be undone. In the tradition of John Barry's The Great Influenza and Siddhartha Mukherjee's The Emperor of All Maladies, Between Hope and Fear relates the remarkable intersection of science, technology and disease that has helped eradicate many of the deadliest plagues known to man.